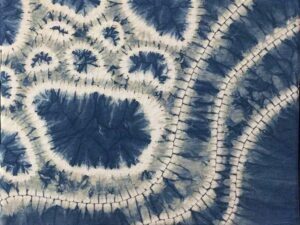 My art explores the traditions of Japanese shibori which involves the manipulation of fabric by binding, stitching and folding. 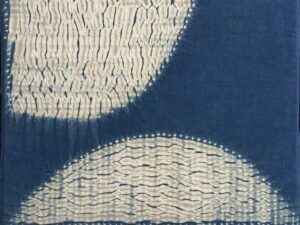 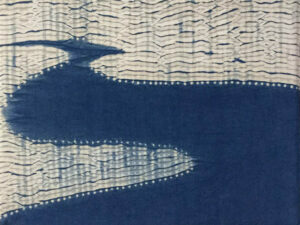 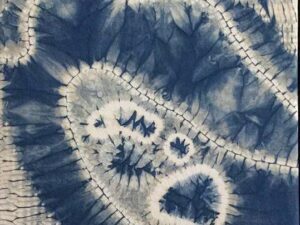 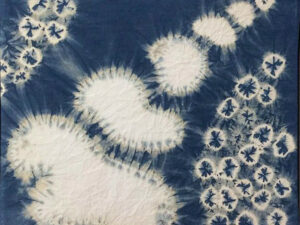 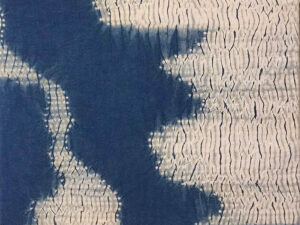 By creating a resist, when dyed with indigo patterns emerge which always contain elements of chance. 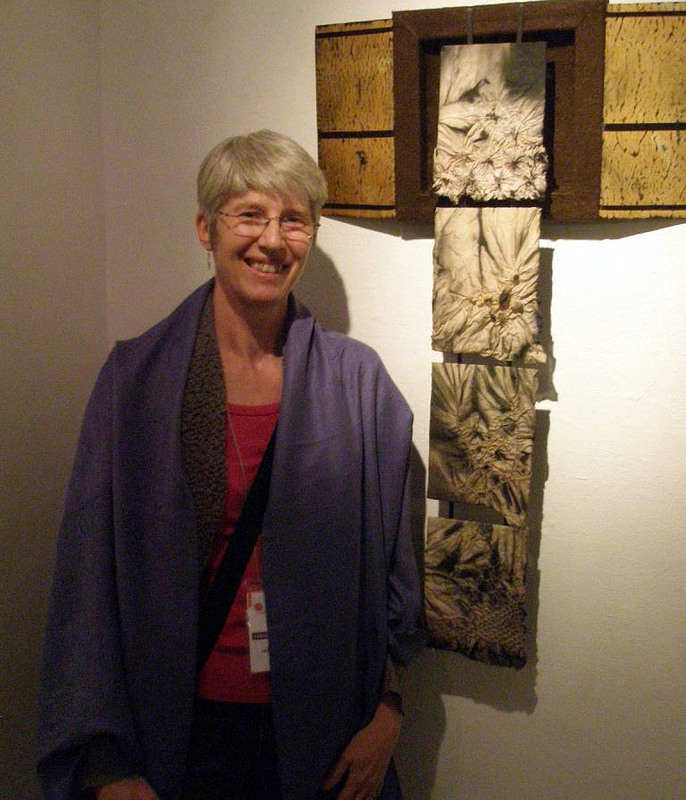 As much as I think it is important to maintain a connection to the ancient traditions of my art, I also feel a responsibility to evolve my sense of symbolic form within the medium. 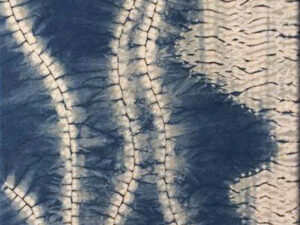 I like the process of shaping patterns that express a personal and progressive aesthetic.